What are the advantages of practicing yoga during hiking trip? After two days of hiking, you may develop what is normally referred to as “THE HIKER HOBBLE.” It is by the time you wake up early in the morning or get up after a long break, and all your body muscles are stiff, certainly do not move well. You probably have to hobble all around the camp for a few minutes prior to getting the full range of motion. Therefore yoga for hikers can be the best option. It is not a secret that walking up and down mountains with a 30-pound pack would tighten your leg up as well as back muscles. Moreover, you can do something about it! 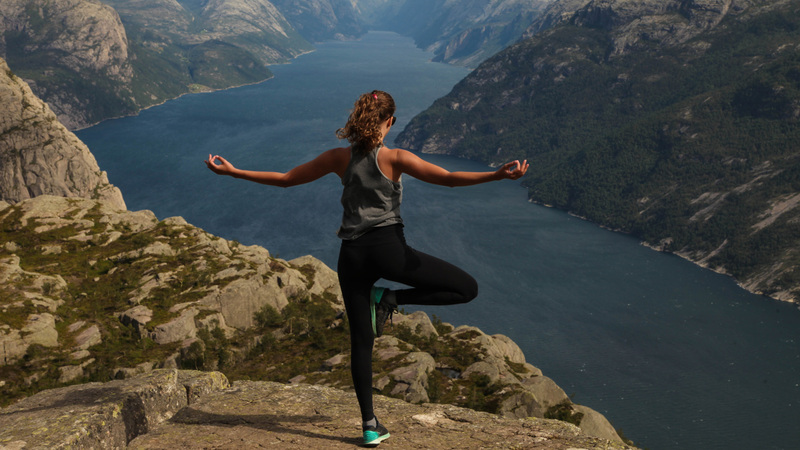 Now the question is why should you practice yoga during hiking trip? What are the benefits of yoga for hikers? Let us talk about that. Yoga is a full round exercise. It helps you lose your muscles and allows you a full range of motion. Yoga helps you improve the body balance. It reduces your chance of getting injured while hiking over varied terrain. Practicing yoga not only strengthens your core muscles but also ensures your hiking experience. 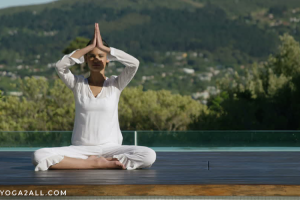 Yoga helps you feel more physically and mentally balanced. It helps you relax and indulge you focusing on the positive side of everything. Whence you start yoga for hikers? Awesome, now you are thinking you are spending all of your time researching about hiking and backpacking, and now we are talking about how to learn a different sport? Alright, so the objective here is not to treat yoga as something you have to do, but you need to do. 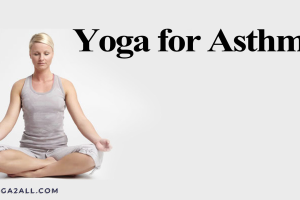 You should think of yoga is something that is just beneficial for your hiking. You do not need to be an expert in yoga or learn to make every yoga pose perfectly. You just need to learn few steps, few tricks and pick your favorite poses and do occasionally while on the trial. You do not need to put pressure much on yourself. 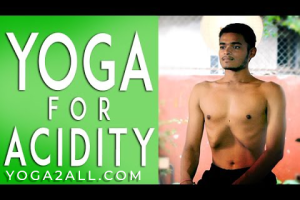 You can try few different yoga poses on YouTube. 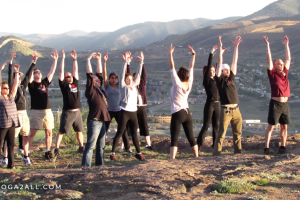 Yoga for hiking is good because learning yoga poses that are good for hiking gives you refreshing mentality. Learning poses is easier whether you are watching somebody else do them, as opposed to reading monotonous yoga description. You can choose many different ultra series trekking poles that are tested as well as designed by some of most reliable manufacturers, and hundreds of hikers all around the world. These types of trekking poles are very, very essential things during trekking and or hiking. You can practice Pyramid Pose, Dancer Pose, Jiva Squats and shoulder and neck stretch pose for hikers. With some yoga for hikers that help you stretch your back, neck, legs and upper arms would be good for you because they would work pretty well while you are at trekking or hiking. Last, but certainly not the least, you do not really need to remember all stretch on every workout video on YouTube you watch. You just need to remember the stretch on every workout video you watch and try to combine them into your yoga pose. Yoga is not only good for physical wellness but also good for mental wellbeing. It is a great exercise, so it will surely help you in your hiking or trekking time as well.